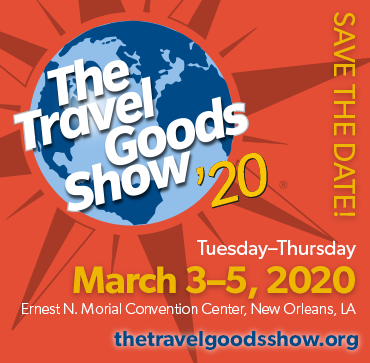 February 16, 2017 – Since the beginning of 2017, new “60-day” notices have been issued alleging that brands and retailers sold Backpacks, Running Packs, Toiletry Bags, Vinyl/PVC Cases, Phone Handbags, and Messenger Bags in California that contained Diisononyl phthalate (DINP) and di (2-ethylhexyl) phthalate (DEHP) in violation of a California law known as Proposition 65 (Prop 65). The notices serve as intent to bring lawsuits against the recipients that sold these products. For more information on Prop 65, please go to the Prop 65 page on the TGA website or contact TGA’s Nate Herman, 202-853-9351. 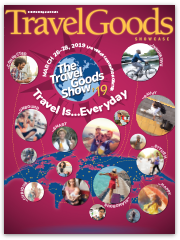 Whether you’re a buyer, a retailer, a manufacturer, or industry enthusiast who can’t wait to find out what the future of travel looks like, The Travel Goods Show is an absolute must-attend event!